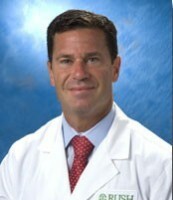 Professional Focus Dr. Brian Cole is a Board Certified Orthopedic Surgeon and Sports Medicine Orthopedic. Dr. Cole is a Professor in the Department of Orthopedics with a conjoint appointment in the Department of Anatomy and Cell Biology at Rush University Medical Center in Chicago, Illinois. He is the Section Head of the Cartilage Research and Restoration Center at Rush specializing in the treatment of arthritis in young active patients with a focus on regenerative medicine and biologic alternatives to surgery. He also serves as the head of the Orthopedic Master’s Training Program and trains residents and fellows in sports medicine and research. He lectures nationally and internationally and holds several leadership positions in prominent sports medicine societies. Through basic science and clinical research, Dr. Cole has developed several innovative techniques for the treatment of shoulder, elbow and knee conditions. Arthroscopic shoulder stabilization, the rotator interval of the shoulder and multiple ligament injuries of the knee. THE HOSPITAL FOR SPECIAL SURGERY, SECTION OF METABOLIC BONE DISEASE, JOSEPH M.
MORPHOLOGICAL EFFECTS OF ENVIRONMENT ON THE NEUROANATOMY OF THE RAT BRAIN. Investigated the effects of exercise as compared to the effects of an enriched environment in the rat cerebral cortex.